"The solidarity of the peace-loving people of the world is very important for us. It strengthens our people's struggle at home" against US occupation. 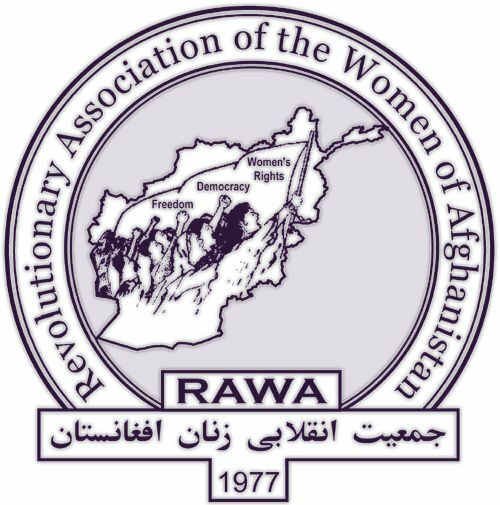 Edu Montesanti: RAWA strongly opposes any negotiation among the US, Afghan government and Taliban. This possibility becomes even more unrealistic, not to say hypocritical, taking into account that now ISIS is also terrorizing your country. What are your thoughts on this Afghan Peace Process, Friba? Friba (RAWA’s representative): The peace talks with the Taliban are meaningless, hypocritical and simply ridiculous. We have the Taliban on one side who are medieval-minded criminals, the puppet regime composed of the Taliban’s brethren-in-creed on the other side, and the third player, the US, is the creator of both. Such a peace deal will not result in peace, it will result in fulfilling the US’s wishes. The only certain result of such a peace deal increases in war, insecurity, corruption, mafia, and the multiplication of our people’s miseries. The Taliban’s crimes are well-known to the world, their stone-age laws and the oppression of women under their brutal regime was widely shown around the world. In the past decade, these killers have shed the blood of thousands of innocent people in suicide and other bombings. While these memories are still seared in the minds of our women and men, and their wounds are still bleeding, these criminals are being invited to join the government to complete the circle of fundamentalist, mercenary criminals in power. Like the criminals who are already present in the government, the Taliban would also enjoy complete impunity and not face prosecution for their savage crimes against our people. The mere mention of these peace talks is pouring salt on the wounds of our suffering people. Just like the peace deal reached with the murderous Gulbuddin this year, was yet another blow to the war-ravaged people of Afghanistan. A criminal who has killed thousands of innocent people during the Afghan civil war, assassinated tens of intellectuals, and used to throw acid on the faces of women who were seen in public when he was a university student, walked across the graves of his victims and into the arms of the US and Ashraf Ghani. The US occupiers gave its blue-eyed boy and long-term agent, immunity from prosecution and removed his name from the UN blacklist, so he could join his fellow traitors and criminals in the puppet government. Such peace talks are mainly part of the US propaganda to deceive the world and Afghan people. If the US had wanted this peace deal, it would have resolved this issue easily, because it is the creator and backer of these criminals. Pakistan, the Taliban’s foster parents, is also under the US’s command and would have made sure the peace deal went through. But the US does not want this peace deal, because the Taliban is its justification for the Afghan war, and the US is in dire need of continuing its Afghan occupation. Any peace deal reached without the participation of the people and especially women of Afghanistan is meaningless, just like democracy and elections in Afghanistan are merely a façade. Gains made without the true struggle of people are just changes imposed by foreign invaders or puppet governments, and these changes can be as easily reversed as they are brought about in the first place. Edu Montesanti: While Donald Trump has indicated that he wishes US troops to leave Afghanistan, what can you say about the mainstream media coverage of the 17-years US occupation, and its so-called “fight against terror”? 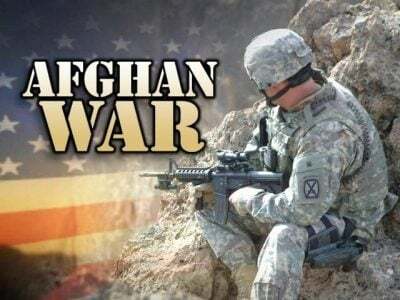 Friba: Despite the announcement of the so-called new strategy, there is so much that we don’t know about the US’s criminal Afghan war, due to the lack of transparency and blatant lies told by the US army in the past seventeen years. From covering up its heinous crimes – ranging from massacres and torture to assisting fundamentalist criminals – to lying about its actual number of troops and private contractors in the country, the US has continuously deceived the world and its own nation about the reality of the Afghan war. Afghanistan barely gets any coverage and if it does, the crimes of the US forces will never be shown, as will the insecurity and instability of our country and the devastating situation of women and people will not get any attention. Thanks to its Goebbels-like lying machine of propaganda, the US has been able to get away with much of its criminal activities, not just in the Afghan war, but in wars in Iraq, Libya, and Syria, by lying to its people. The very basis of the current US wars were bogus claims exaggerated by a hysterical media that spread fear among people to justify US invasions and occupations of other countries. The people of the US and West do not have the true picture of the US wars to make proper, informed decisions on them. They should look beyond the mainstream coverage and discover the reality of the Afghan war and other US-led crusades. They should know that the tax they pay is used by their governments to further their imperialist aims in Afghanistan and other war-torn countries and that their hands are soaked in the blood of our innocent people; they should know that the US, while claiming to lead a “war on terror” abroad, is actually nourishing terrorists and terror groups to achieve its own aims; that while it claims to be the torch-bearer of human rights, it has committed some of the most bloody crimes in its wars, and has provided support for the indigenous human rights violators and war criminals in these countries. Edu Montesanti: What about the Afghan media? Friba: The Afghan media, which has grown rapidly since the US invasion, also has the same policy of covering up and whitewashing US crimes and evil plans in Afghanistan, instead of exposing them. Edu Montesanti: What message would you like to send to the world, to finish this interview? Friba: RAWA has always stated that the solidarity of the freedom and peace-loving people of the world is very important in strengthening our people’s struggle at home. These people need to pressure their governments to change this invasion and occupation policy and stand with the people who are the victims of these wars. These bloody wars also have a blowback for the people of the West, like the increase in deadly terrorist attacks carried out by ISIS sympathizers across Europe and the US, so it is vital, more than ever today, to join hands in annihilating this deadly virus.